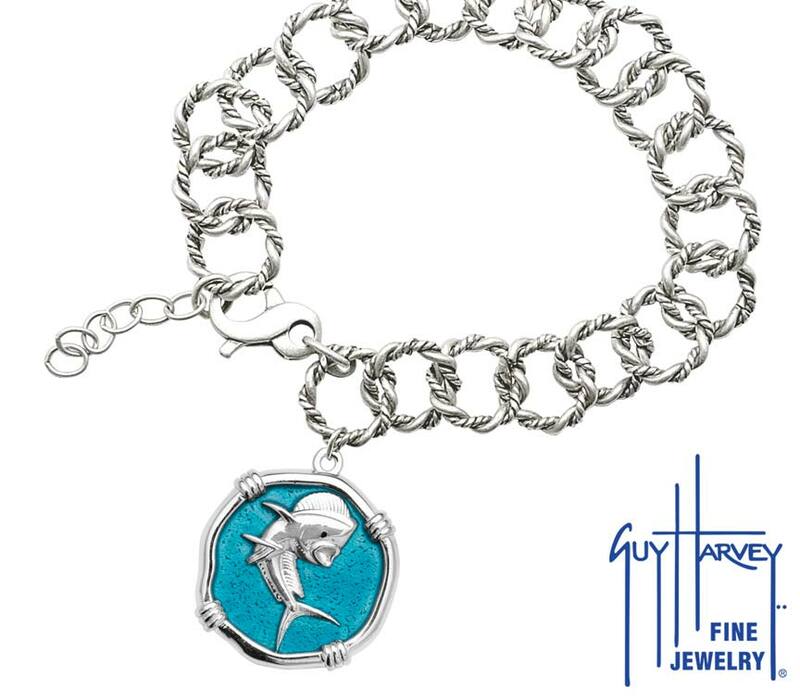 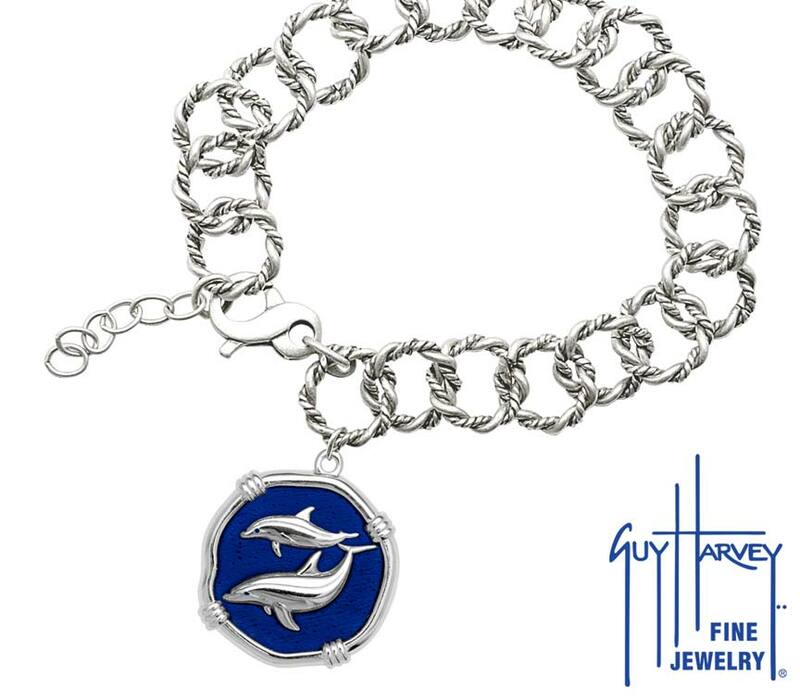 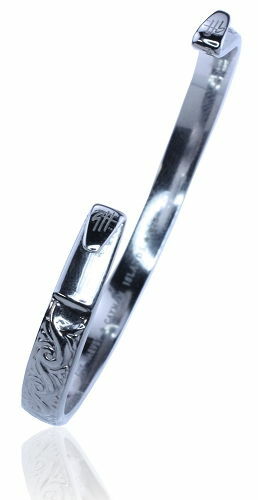 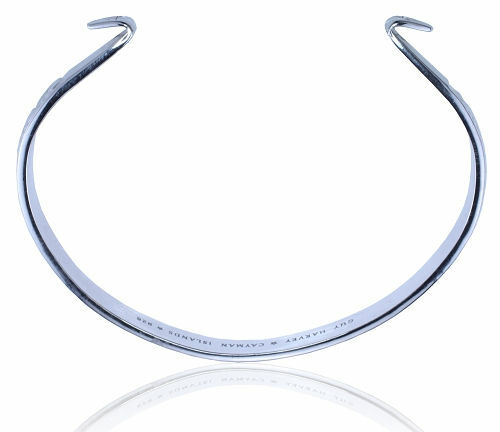 The Guy Harvey Hook Bracelet is crafted of sterling silver. 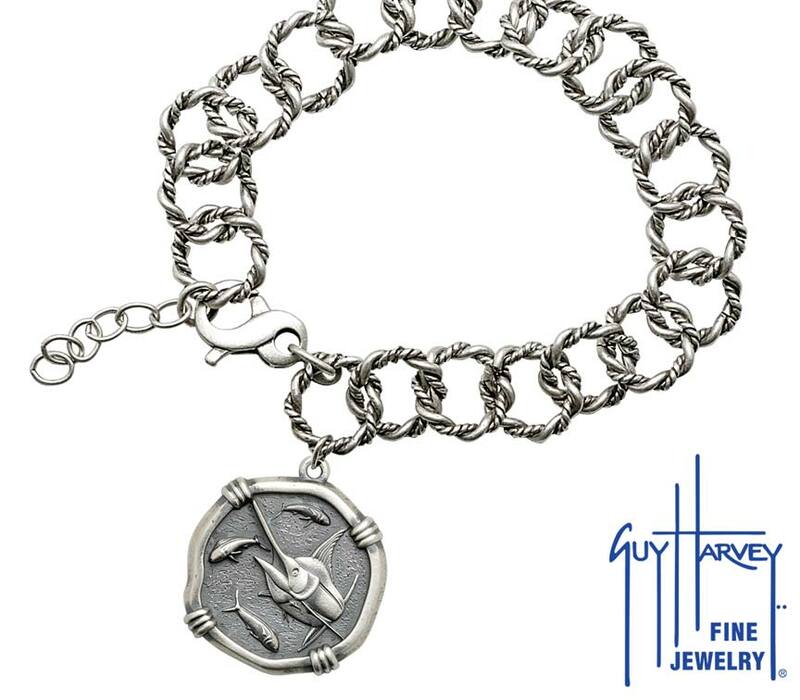 Your choice of clasp attachments are available separately and are interchangeable. Create your own jewelry masterpiece. Mix and match by just changing the clasp. 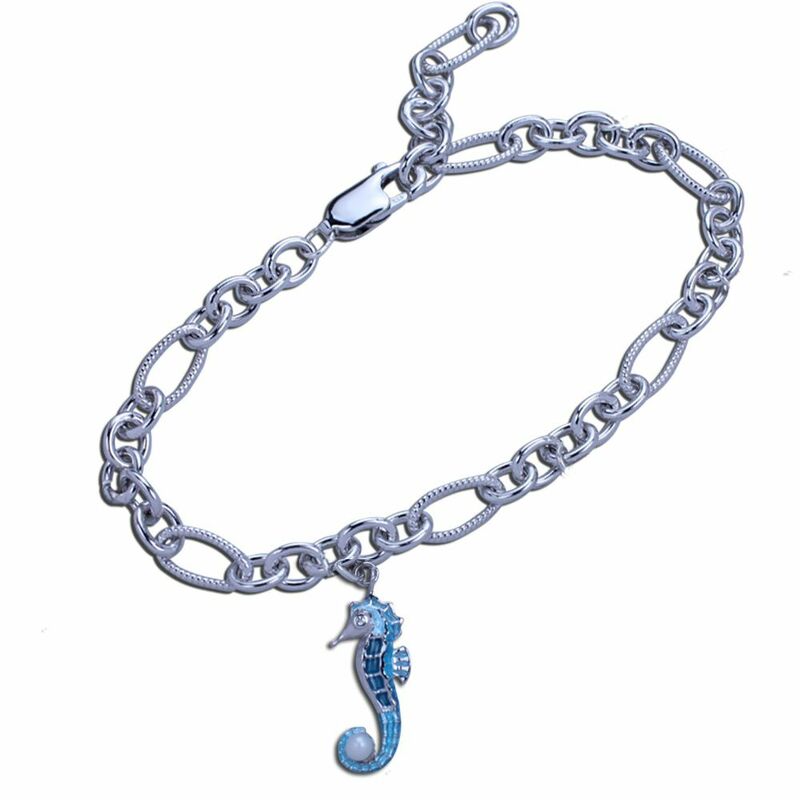 7 inches when complete with clasp.